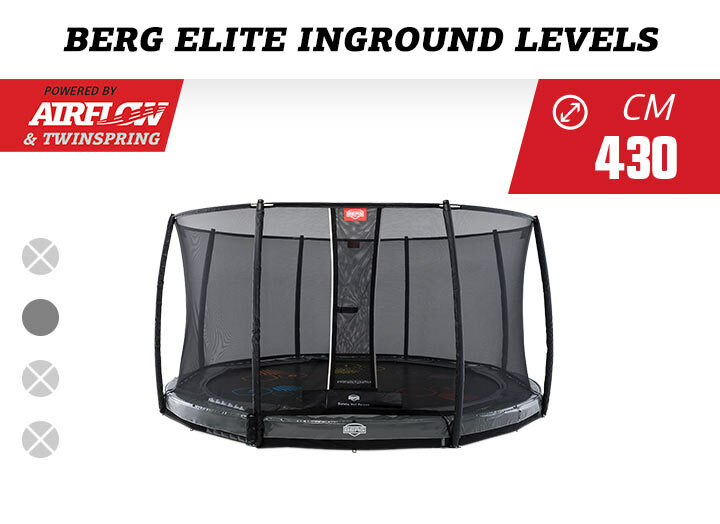 BERG has developed a game for trampolines in collaboration with primary school teachers. 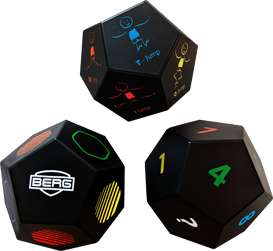 BERG Levels is an innovative game that encourages children to learn and develop in a fun way. 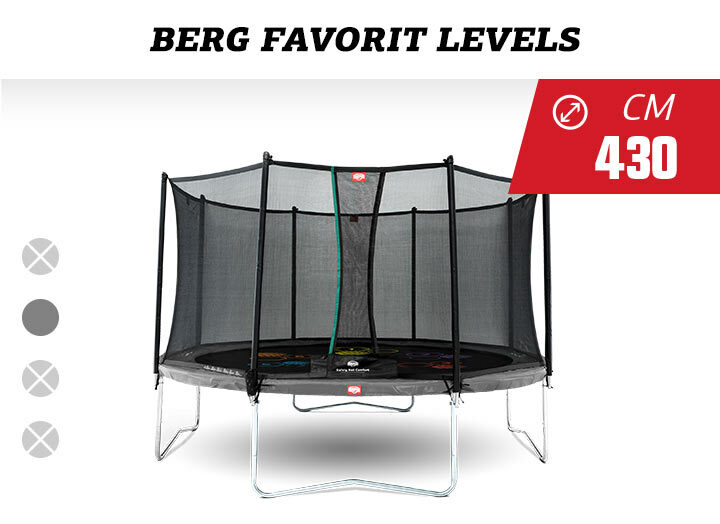 The Levels game is a game where children can play together or alone and improve their jumping techniques, memory and mathematical skills. 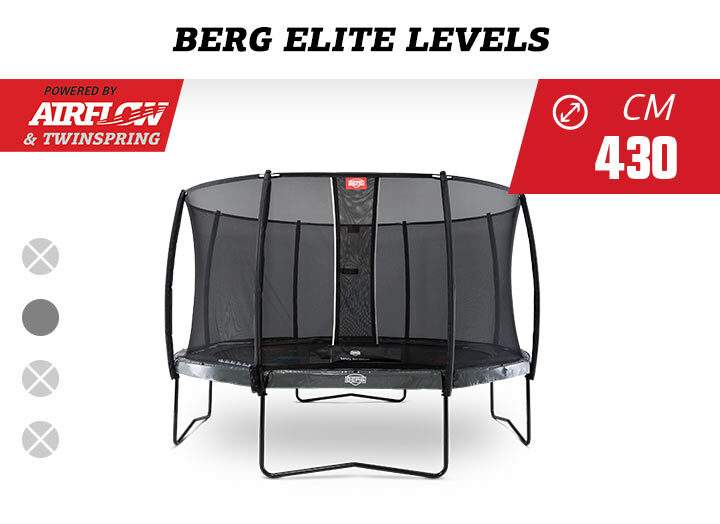 The 'levels' vary from fun basic games to physically and mentally challenging trainings. 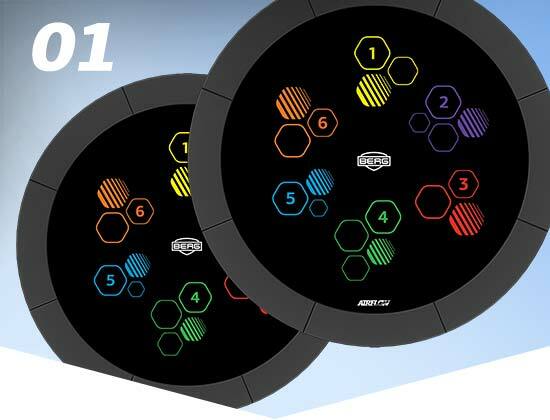 BERG Levels trampolines are equipped with a life-size jumping mat with colored symbols, three soft game balls and a game explanation card in six languages. A cheerful and active game for every child. 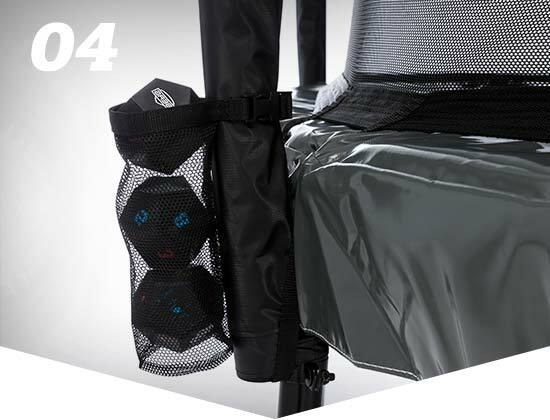 The three unique user-friendly game balls are made of water-repellent closed cell foam. 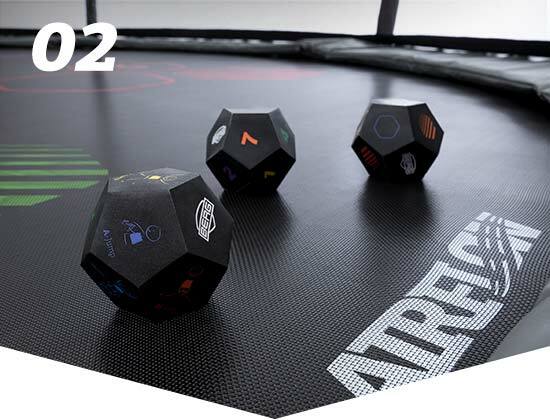 With this you can endlessly create new games. 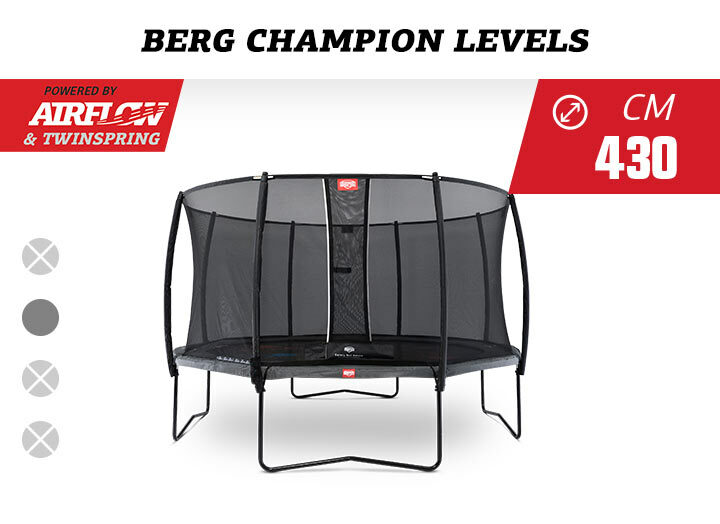 To stimulate children to learn and develop, BERG developed three games with different levels of balance, calculation skills and memory training in collaboration with primary education. 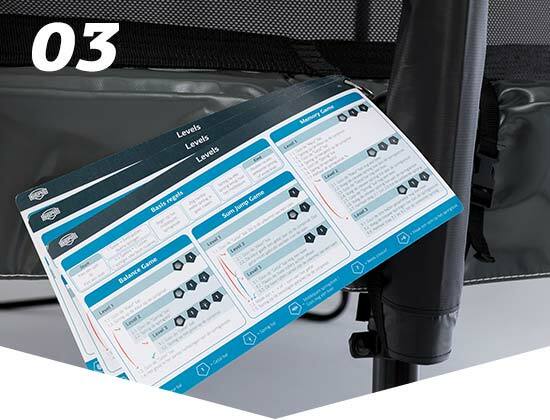 The Levels game has an easy 'clip-on bag'. This way you can neatly store the play balls and the game explanation cards and your Levels game will last for many years.